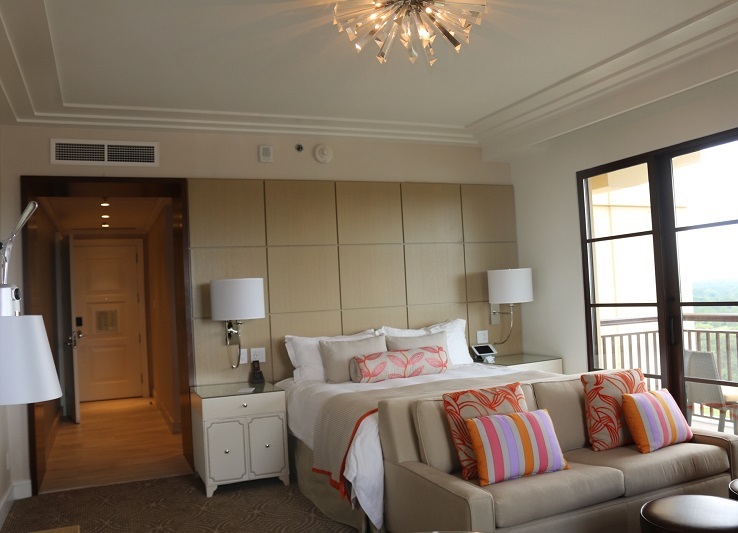 Chic Family Travels was headed to Orlando, and admittedly more excited about reviewing the Four Seasons than Disney World. I actually went on a hard hat tour of the Four Seasons in Orlando while it was still under construction. 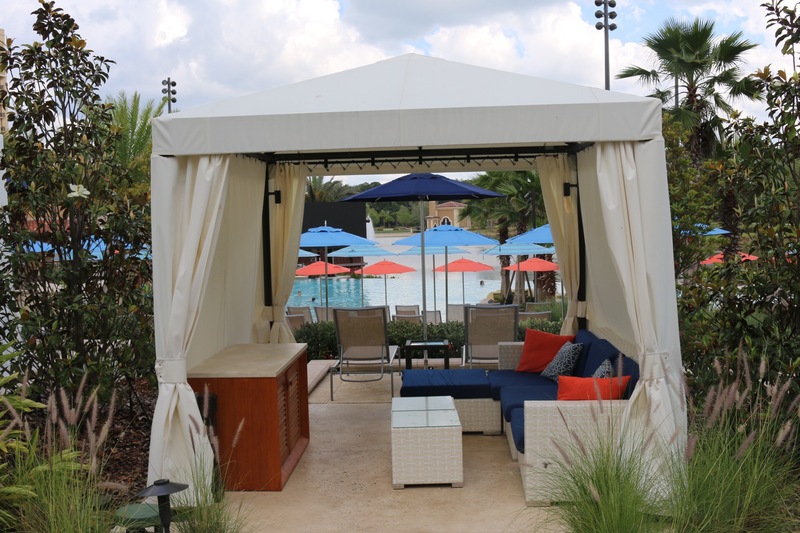 I was so impressed with the hotel after my initial visit that I wrote a post titled: 9 Good Reasons to Stay At the Four Seasons in Orlando. Now it was my turn to stay at Disney’s newest luxury hotel, and experience first hand whether the Four Seasons lived up to the hype. 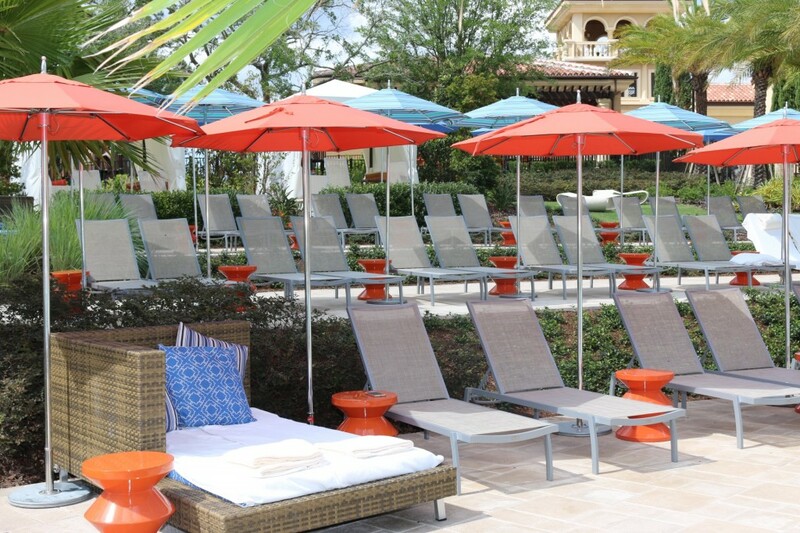 For most people, the first question is “where is the Four Seasons hotel?” The hotel is located on Disney property, and within the gates of the Disney owned Golden Oak community. The Four Seasons is not on the monorail, but they have their own buses that run regularly to each theme park. We found their transportation to be reliable and very easy. Our hotel balcony faced the Magic Kingdom, and we were able to see the fireworks every evening. The room itself was stunning to say the least. Even though the room is super fabulous, we spent very little time in the room. I can promise you that there is not a kid on this planet that will let their parents chill in the hotel room with all there is to do downstairs! I am not even sure where to start because there are so freaking many! Lazy River, Check. Splash Pad perfectly timed to Disney Music, Check. Water slides, Check. Rock Climbing, Check. Indoor Volcano that erupts, Check. Please tell me that you had to pause and think on that last one, because I did. The list really could go on and on and on. They even have tents by the splash pad pool. 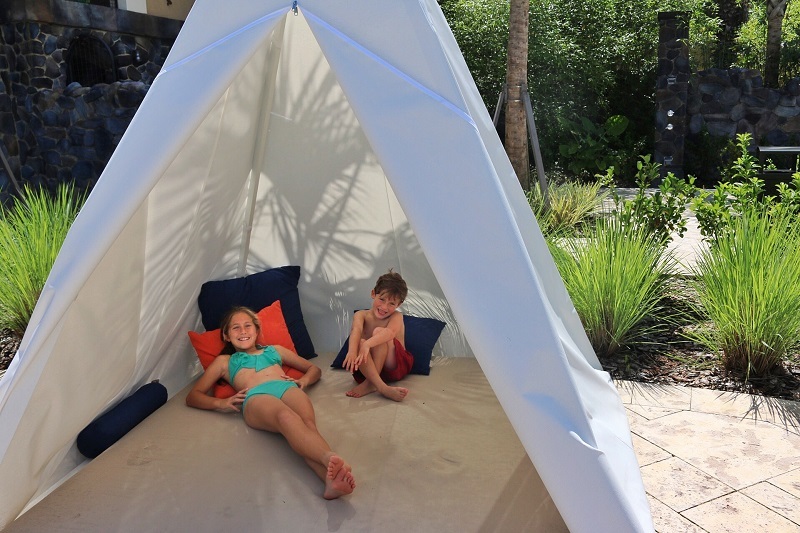 What kid doesn’t want their own tent by the hotel pool ?! Seriously Four Seasons, the tent idea is genius. I saw several mothers lay their babies and toddlers down for a nap in a nice shaded tent by the pool. The Four Seasons Orlando architects also had a sick sense of humor! Check out the water canons that every mom who doesn’t want to get her hair wet should be forewarned of! Yes, those sneaky canons are brilliantly hidden behind rock walls. I could not get over the fabulous pool area and especially the multiple pool-side lounging options. I could seriously dedicate an entire post to the Four Season’s pool lounging options. Also, the movie night by the main pool is a “don’t miss” event. The other “don’t miss event” is the character breakfast. I admittedly can’t stand the Disney hotel character breakfasts. Four Season’s does the character breakfast right, enough said! Let’s just be honest, the Four Seasons does everything right 🙂 Daniel & I would return to this hotel with or without children. It’s fabulous, and Disney World just happens to be next door. 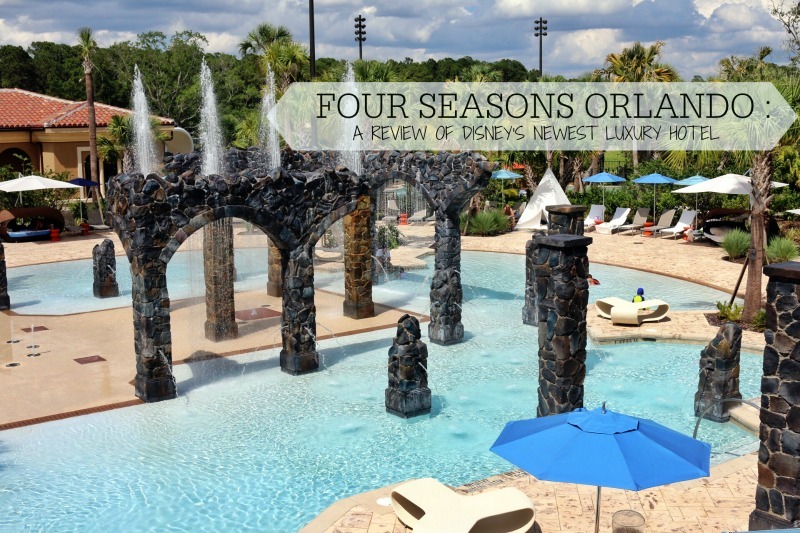 We loved the Four Seasons in Orlando so much that we created a video about our magical stay. 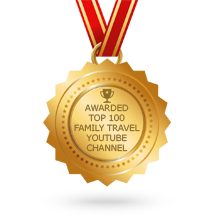 * Chic Family Travels received complimentary accommodations for purposes of reviewing the Four Seasons. I’d love to leave those luxurious rooms to do everything downstairs too. 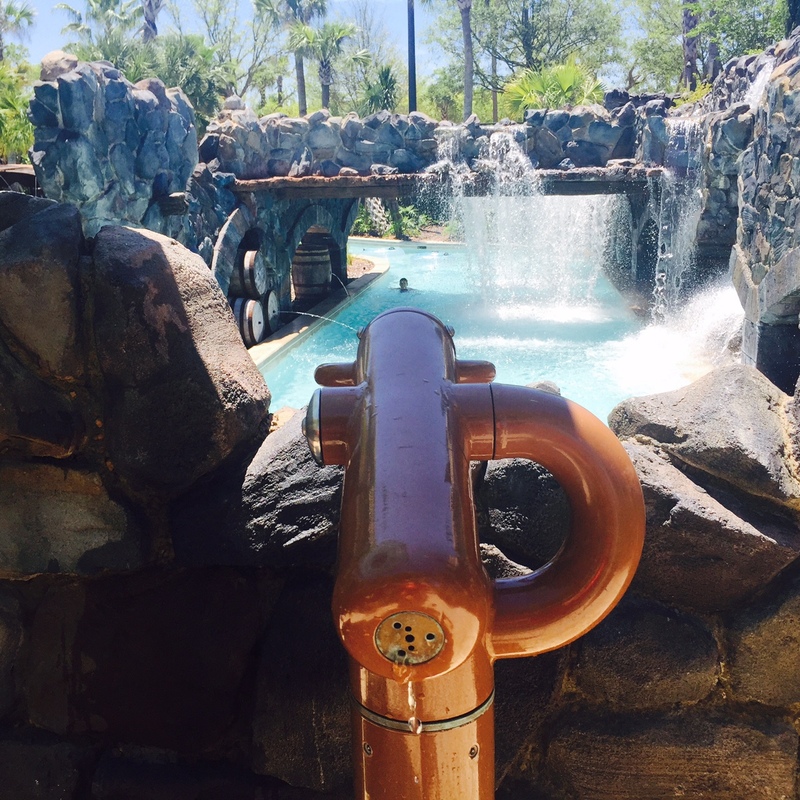 Water slides, pools and also volcanoes? So Disney can really read my mind. 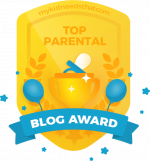 Thanks for the lovely review and video! 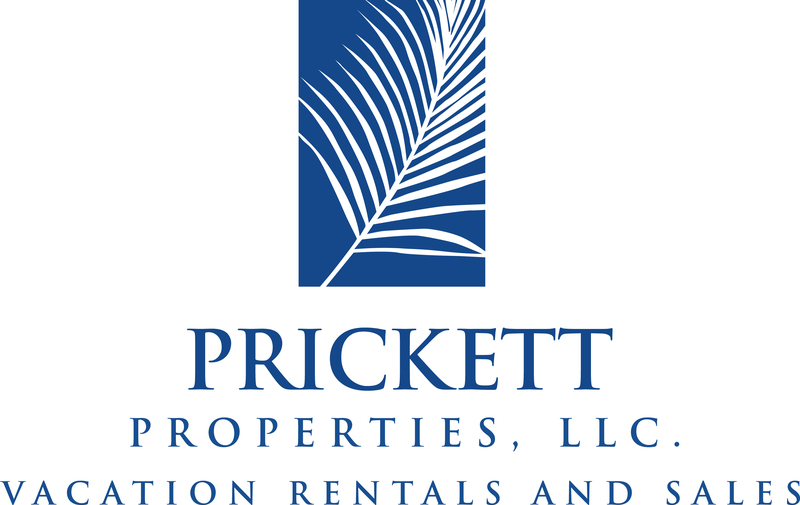 Orange Beach and Gulf Shores Rentals including Condos and Beach Houses.